Why not check out our other mobile phones? 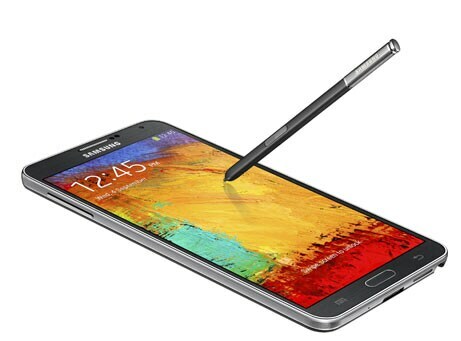 The Samsung Galaxy Note 3 is big on screen and big on performance, for the mobile 'multi-tasker'. 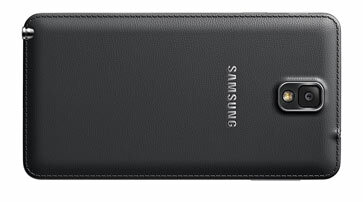 Wider is better, especially when its slimmer too! 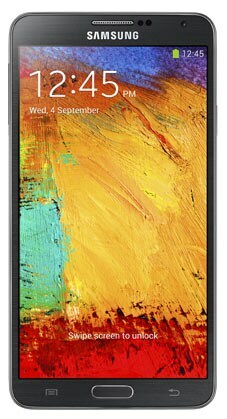 HD videos, web pages, product photos, presentations – all look great on its 5.7' Full HD Super AMOLED screen. 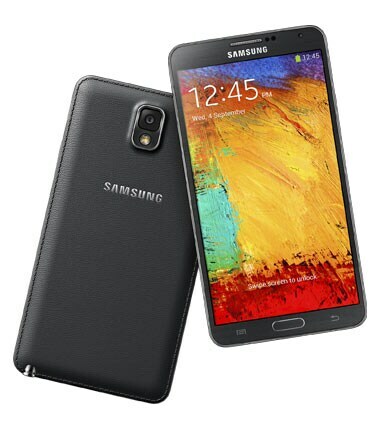 You’d think being this big the GALAXY Note 3 would weigh a ton – you’d be wrong. It weighs just 168 grams and is ultra-slim making it easier to hold. 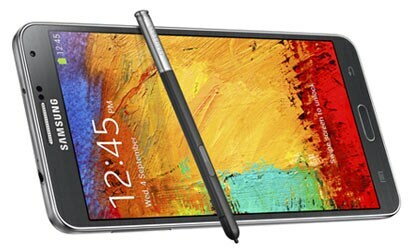 Hover & click in any window with the S Pen stylus. The Air Command menu gives you quick access to useful applications like Action Memo, Scrapbook and Screen Write. S Note lets you easily write, organize, edit and share notes using a simple and clean interface. 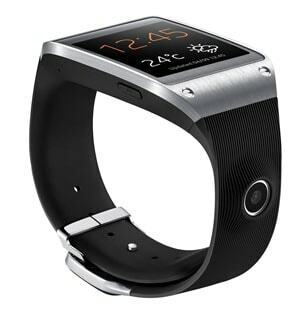 The GALAXY Note 3 works in sync with the Galaxy Gear smart watch (sold separately), so you can get updates on your wrist while your phone is in your pocket or bag! With Multi Window you can open apps in two windows, then drag and drop content from one to the other. Packing a powerful 2.3GHz quad-core processor with 3GB RAM, you can keep your productivity up with fast multitasking. The Note 3 sports a 13MP camera with image stabilisation for sharper shots. Put yourself in the picture with Dual Shot, or capture multiple-sequence photos with Drama Shot! Tired of running out of power? 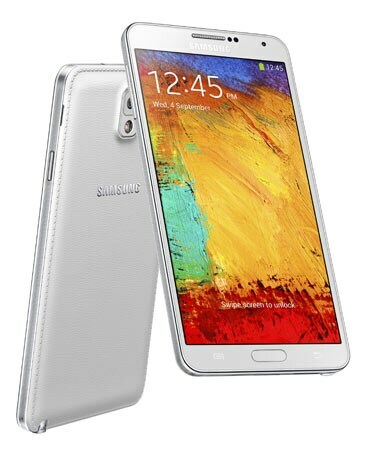 The 3200mAh battery on the GALAXY Note 3 gives your mobile phone longer life than ever before. Increase your phone’s storage capacity with an optional 64GB microSDXC card. Great for storing and transferring even more files, documents, photos and videos. Delivery is free, for online orders. It generally takes 2 business days for metro areas and 3 business days for regional areas. Subject to stock availability. For orders placed between midnight and 1pm (AEST), Monday to Thursday, delivery is next business day to metropolitan areas of capital cities. No need to wait in line, simply shop online and sign for your order at delivery. You will need to show the courier valid identification eg, driver’s license. If you are not there at time of delivery, it will be sent to your nearest post office for collection. Our connection and site are secured with encryption software to protect your personal info. If you change your mind and the packaging is still sealed, just contact us within 10 days from purchase to get your order returned or exchanged, free of charge*. Wondering "when will I get my order?" Wonder no more. We'll keep you in the loop with our online parcel tracking. You can easily track the progress of your order online. Did you know our 3G network covers a whopping 98.5% of the Australian population, giving top-notch call quality, SMS and mobile internet? Enjoy faster downloads, web browsing and streaming on our superfast 4G Plus network with a compatible device and plan. Our 4G Plus network is available in all capital cities and hundreds of regional towns and holiday destinations, and keeps on expanding, so you can enjoy superfast internet in loads of new places with the latest devices! You can get hold of us using online chat, Facebook and Twitter, or by phone. Find answers and get help in our extensive support database and community forum. Check out our Optus Gurus videos for handy tips about using our services and the latest gadgets. Optus has lots of great postpaid business plans that are perfect for doing business on-the-go. Our My Plan Business (including SIM only) mobile plans come with heaps of talk, text and data so you can be productive in and out of the office. For tapping away on your SIM-ready tablet, Mobile Broadband Business plans come with heaps of data value for your mobile connectivity needs. Make the most of your data - combine eligible postpaid business mobile and mobile broadband plans together onto the one bill, and like magic, the data inclusions will pool to share between all connected devices. Need more data? No problem! If you ever need more data in any month, we’ll automatically top you up for just $10 per extra 1GB. Do all the stuff you need to do - online. My Account lets you check usage, pay bills, change settings on your services and plenty more besides. Keep an eye on your mobile usage, pay bills, and chat with us – all from a handy little app on your smartphone.